Do you like sightseeing, but think that historical and literary museums are boring? Well, Minsk has something to change your mind! 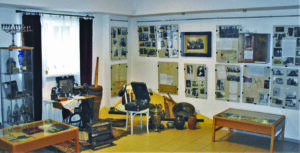 Minsk has several museums that will help to show you another side of the Belarusian capital. The exhibits here are fascinating and guaranteed to make you think. The Museum of Boulders (or Stones Museum) in Minsk is an open-air museum and a natural monument of national importance. More than 2100 stones and boulders from all over Belarus have been collected here. Some of them are “greetings” left by long-ago glaciers; others are sacrificial stones or grave markers. The giant stones are laid out to form a map of Belarus, with the terrain and hills echoing the highest and lowest points in the country, and blue spruce denoting the major cities. A tour of this museum is a rewarding experience in itself, and your visit can easily be turned into a picnic in the fresh air. occupation years. Formerly located in Kastryčnickaja Square, the museum moved to a new building erected near the Minsk Hero City monument in 2014, and now hosts military parades and festive processions. 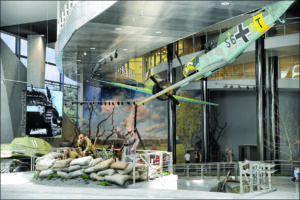 The museum covers an area of more than 3,000 square meters and includes over 8,000 exhibits that tell the history of the Great Patriotic War. There are ten expositions, arranged chronologically, from pre-war days and military operations to the restoration of the whole country. Historical footage from newsreels and over 40,000 photographs from the war create a unique atmosphere. Moreover, behind the museum is an outdoor exhibition of military vehicles, rare examples of Red Army equipment. If you want to feel the spirit of Belarusian culture, go back to its roots and to see how people lived in bygone days, travel out of the city for a day to visit the Folk Museum of Architecture and Rural Life in the village of Ozertso. and master Belarusian dances. You can also watch artisans work, make real Belarusian souvenirs with your own hands, sample national dishes and drinks. The uniqueness of the Museum of Architecture and Rural Life lies in the fact that it is an actual Belarusian village, consisting of buildings brought from all regions of Belarus. The open-air museum is divided into three exhibition sectors, each one representing a typical settlement with characteristic buildings of the late 19th-early 20th centuries. Did you know that in the 19th century, 60 percent of the population of Minsk was Jewish, and in the early 20th century, Yiddish was one of the official languages of Belorussia? Less than a hundred years later, the situation has changed drastically. What happened? Why was a hardworking and talented people affected by genocide? What is a ghetto and how is Jewish history and culture being revived today? You will find the answers to all these questions and more in the Museum of Jewish History and Culture. This new museum allows you to see the most interesting attractions from all over Belarus in one place, in miniature. At present, the exhibition includes 18 displays: Nesvizh, Lida, Puslovskys Palace- Kossovo and Krevo Castle are among them. “We have selected 70 of the most interesting attractions of Belarus and we will recreate them in miniature over the next three years especially for you,” the museum’s team says. The museum also has English language audio guides and excursions. Or you can install the Miniland app and come prepared! In addition to the exhibits, the museum has an excellent souvenir shop where you can buy unusual Belarusian magnets and purses. There is also a photo zone with the interior of a Belarusian hut and a rest area with coffee and sweets. 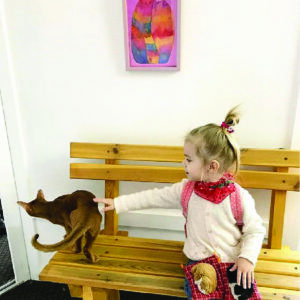 If you like cats and miss your pet, it is worth visiting the Cat Museum. Most cats and kittens living in the museum were homeless in the past, but now they are well-groomed and vaccinated. Unfortunately, you cannot pick the cats up (unless they jump on your lap), but you can pet them. Visiting museums is entertaining, but it can prove tiring. At the end of a tour, one often feels the need to relax and have a drink – a glass of beer, perhaps. The Alivaria Brewery Museum suggests combining business with pleasure. Excursions take place in a 19th-century building that houses an exposition of Belarus’ oldest brewery. In addition to the excursion, you can attend brewing master- classes and learn how to drink beer correctly. Yes, there is beer tasting!